We recently shared an article on the essentials of tradeshow marketing. 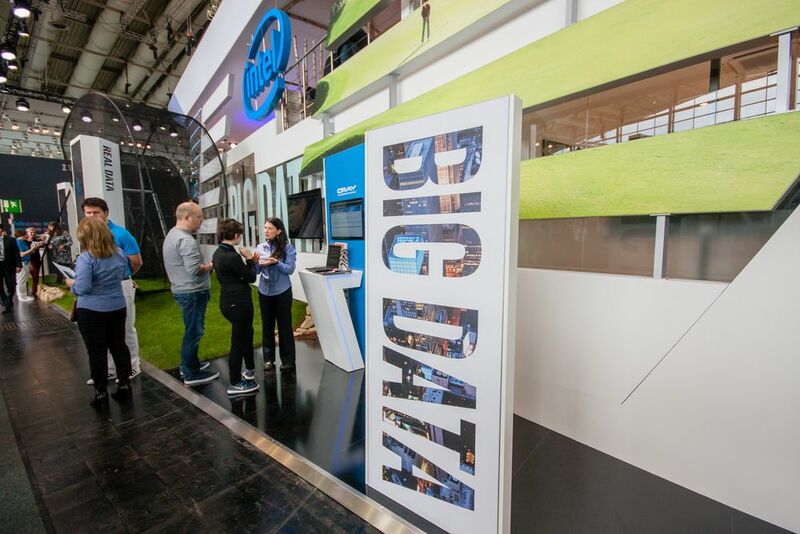 It covered the basics that you need to think about when investing in a tradeshow – finding the right shows, strategy and goal setting, and what to think about for marketing materials. Today, we are going to dive deeper into some of the strategies your business can use to make a splash by getting your tradeshow marketing right! This article is written in partnership with Staples, the one stop shop for all your small business needs including tradeshow supplies, office supplies, printing, and marketing services. We have all seen that one booth at a tradeshow where we wonder if they just decided the day before to show up. There’s no signage; only a few white letter-sized sheets strewn across a tabletop and a very unengaged guy or gal sitting in a chair more engrossed in their cell phone than the people walking by. I can almost guarantee you that these folks never see an ROI from participation. First impressions are everything at a tradeshow. Think of it like window-shopping. If you are walking down the street and you see a beautiful window display that captivates you and showcases something you need, you go in. If the window display is cluttered, dirty, and not appealing, you keep walking. Think about your booth like that window display. When people are walking by, how can you grab their attention and get them to come in? Signage plays a massive role in this. Signage is not a place to cut corners on your budget. Use a professional design and printing service like Staples Print & Marketing Services to make sure you are creating high-quality products that represent your business and brand. How @Staples can provide all the #marketing tools you need for maximum #ROI at your next #tradeshow. 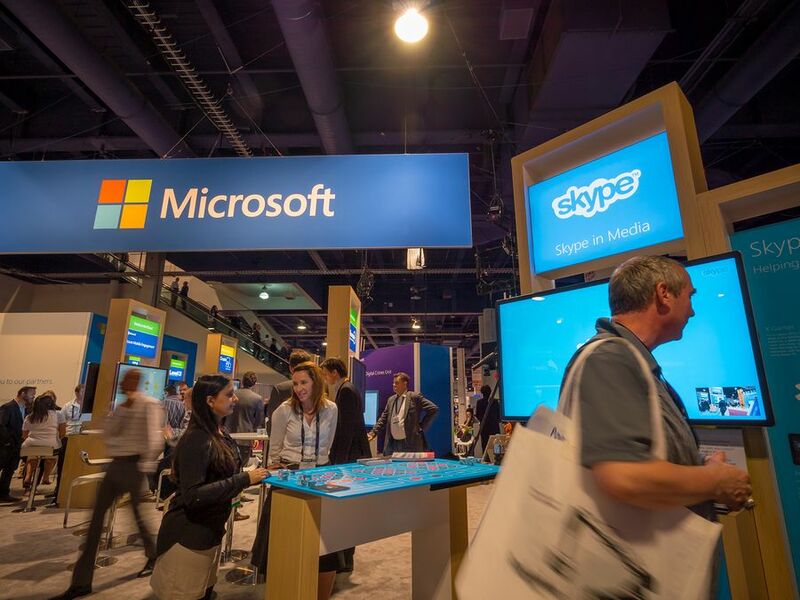 While great signage can pull all the people you want into your booth, if the team members you have working the booth are not on point, attendees will quickly walk away. The team members you have working at your exhibit represent your company, so take time to ensure that they are well prepared and prepped to meet your expectations. Before the show, meet with anyone who will be working the tradeshow booth to share with them the exact goals you have for the show and the exact messaging you want to relay to attendees. This will ensure that everyone is telling the same story, which makes you look more prepared and professional. Strongly consider providing matching branded shirts for your team members to wear when in the booth. This allows attendees to quickly identify them and once again, delivers a succinct message about your business. 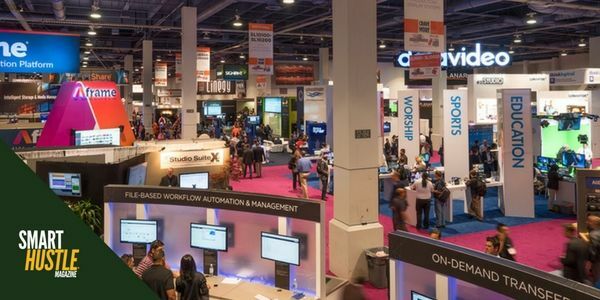 Research shows that exhibitors who wear lively colors such as green, red and purple draw more attendees into their booth versus those who wear black, gray and white. Put cell phones away – no phone calls, texting or playing with your phone in the booth except in case of emergency or for sharing social media moments. Finally, make sure that the team members you choose are enthusiastic about your products because enthusiasm is contagious. Send personalized invites to your existing clients/customers to visit you at the show and provide your booth number. Promote that you are attending the event on your website, through emails to your list and in local trade magazines. Promote the event on your social media platforms. Make sure you include any hashtags or social handles for the event in your messaging. Continue your social promotion from the tradeshow floor. Share pictures of your booth, your products in action, your team members with attendees, etc. Don’t forget the show hashtag! Hold a raffle or some other contest that gets attendees excited and gives them more reason to go to your booth. Give away cool and useful promotional materials that visitors to your booth can use after the show and relates to your products and brand. 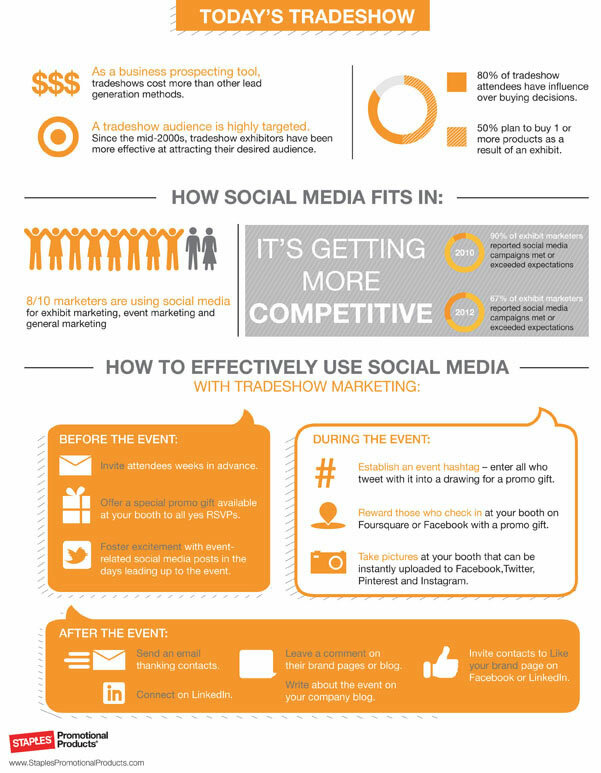 This infographic from Staples shares some great tips on using social media to promote your event as well as other useful reminders. Just because the tradeshow is over, your work is not done. It is now time to capitalize on all the leads you collected and turn them into sales! For any ‘hot’ leads, follow-up within three days of the show with a phone call. This will help you to build the relationship and solidify the sale. For the warm leads you gathered, follow-up with a personalized email within three days. Thank them for coming by and then put them into a nurture campaign to build the relationship and work towards a sale. Follow all of your leads on social media and shout out to them with a big ‘Thank You’ for coming by. Tradeshows are an excellent opportunity for you to connect further with prospective and existing clients/customers. Make the most of your investment by making sure you leave a positive lasting impression before, during, and after.